Macrack is a genuine manufacturer of pallet racking and warehouse storage systems. As one of this countrys’ only actual manufacturers, we take great pride in the product we produce. We support local and national business’s buy buying Australian made product as well, continuing the proud tradition of manufacturing in this country. Our state of the art production facility is located in Mansfield Brisbane, it’s from this head office that we supply pallet racking Australia wide. We do have branches, resellers and distributors in each capital city as well as installation teams ready to go. But as for where all the roll forming, welding, painting and fabrication, we operate out of Brisbanes east side, just off of the gateway motorway. The key to Macracks superior racking system is the upright profile and the high quality pre galvanised steel it’s made from. We buy this steel as a coil of slitted sheet steel, from this it is fed through one of our 4 roll-form machines to punch and form it into the classic shape we see today. Our standard beams are roll-formed in two sections by another machine. These are then pressed together to create a rigid box section structure. This is one of the strongest ways to create beams using the ultimate limits in engineering technology and production techniques. The trend in the market place over the years has been to begin importing pallet racking from overseas. Many of the international companies are already doing this, and so are the small ‘fly by night’ competitors. Unfortunately, the quality of imported racking is not the same high standard as what is produced in Australia and ultimately is not as safe or strong. The standards also reflect this, by stating that only a manufacture can give correct weight load ratings. Therefore anonymous imported racking is probably not covered under the latest standards AS 4084 : 2012, with one of the most crucial factors, having safe and correct weight loads. Macrack has a team of highly experienced welders and fabricators that are always developing new and amazing products for the market place. With many years of metallurgical experience behind them they greatly versed on what will work and how to solve issues. One of Macracks great features is that we can custom paint any racking to match your corporate logo or colours! We are the ONLY pallet racking manufacturer that has this ability in Australia and are happy to offer our services to your company. Disclaimer* we haven’t painted a rainbow yet… but are willing to try. Our sales and engineering department work closely with our design team to create layouts for our clients and custom items to help aide storage solutions. We offer both 2D and 3D design solutions for our product, because we want our customers to get involved with the design process and see what they will be ordering. 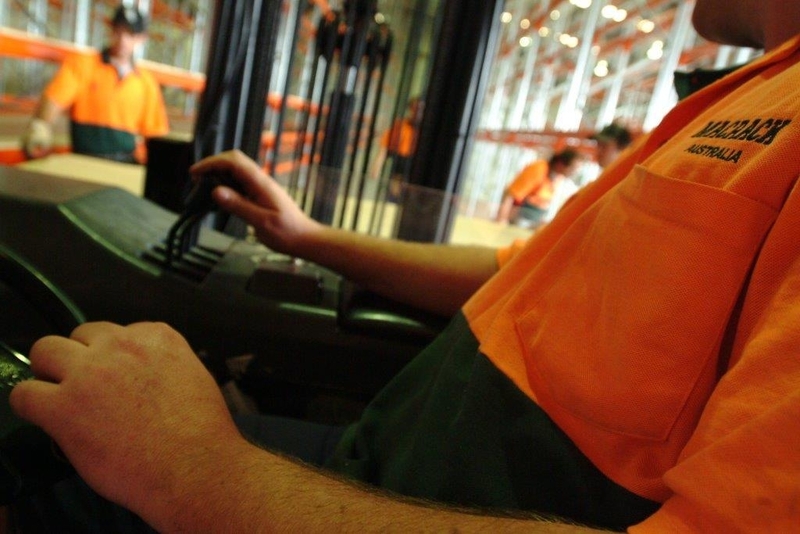 If you are looking for pallet racking installation, no matter where in Australia, we can help you. We have pallet racking installation crews in every capital city of Australia, they are highly experienced in warehousing installation and professional to the highest degree.